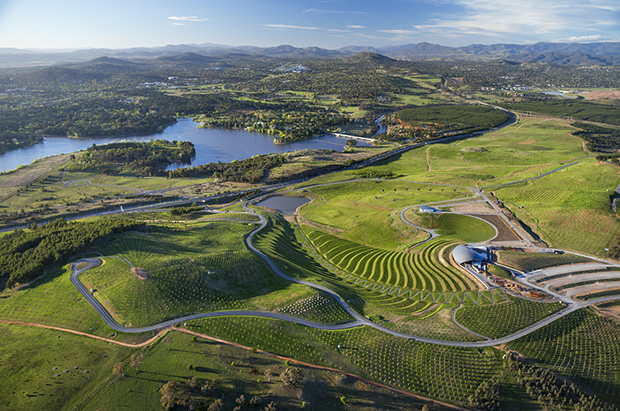 In 2004 following devastating fires in January 2003 and inspired by Griffins vision for the National Capital, the ACT Government developed a proposal for an International Arboretum to be established on a 250 hectare site six kilometres from the centre of Canberra, at the western side of Lake Burley Griffin. 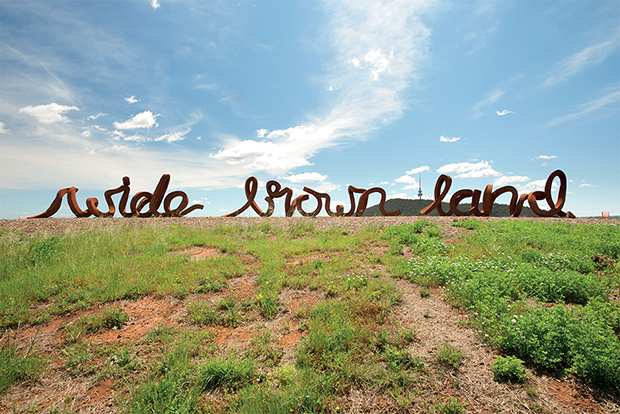 In 2004 the ACT Government held an international design competition. The National Arboretum Canberra redefines the meaning of a public garden in the 21st Century. 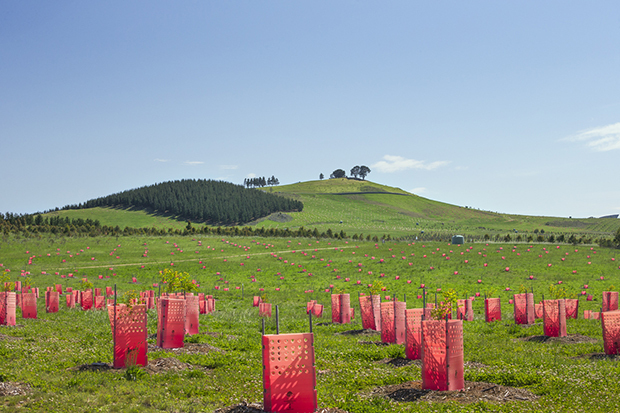 It comprises 100 forests of endangered tree species from around the world on a 250 hectare former fire ravaged site. 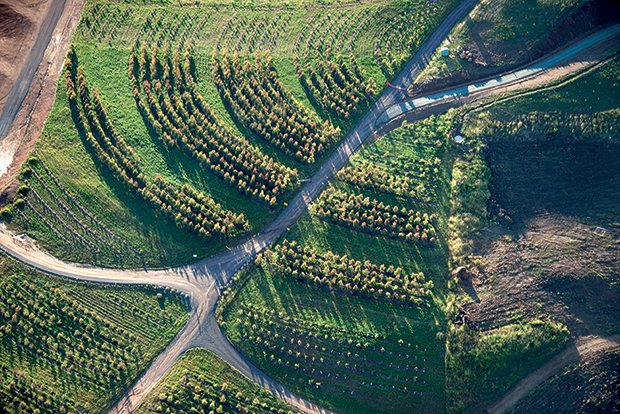 Growing out of the very real issues of sustainability, biodiversity and public environmental concern, the National Arboretum is a strategy, a program and an ongoing event, not a design chiefly based on aesthetics. The 100 forests not only provide a unique experience the pleasure of being enveloped in a forest of one species but are also seed banks for the future. Each holds a viable population to preserve vulnerable and endangered species. 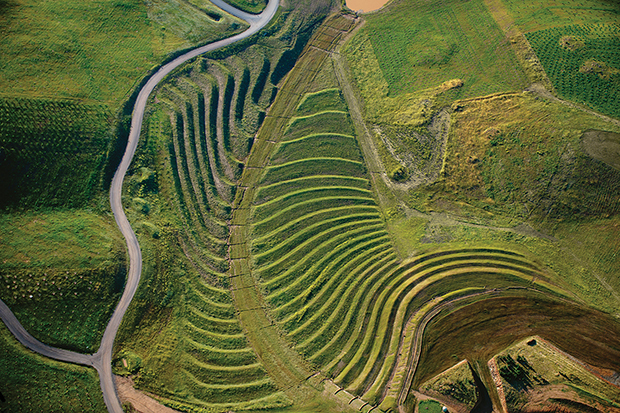 The topography of the site informs the planning, with elements contrasting and harmonizing with the dramatic landform nature and culture in juxtaposition. 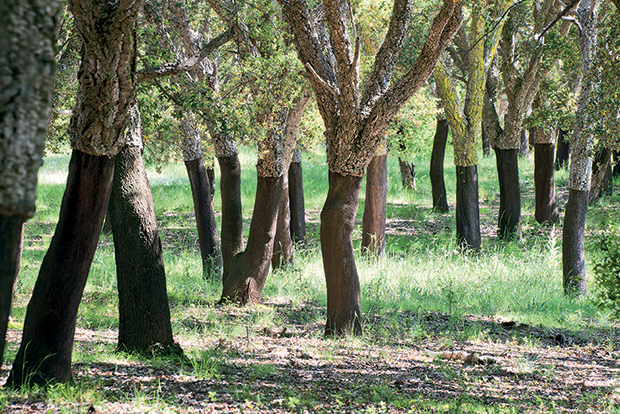 The 100 Forests, Clearings, Central Valley and Gardens form a set of contrasting spatial experiences and activity settings that complement each other to form a cohesive whole. Woven into the topography and purpose of the site, these spaces offer the Arboretum visitor a rich array of opportunities to experience and explore the significance of trees, plants and gardens in the contemporary world. As it develops into the future, the National Arboretum will build links across the world, an exchange of knowledge and actual plant material that will work towards reversing the planet s loss of biodiversity. Artwork as well as ecology is a significant part of the Arboretum, based on the themes of regeneration on which the design is based.